First two phases of long-awaited Newhall Land & Farming development win court battle over environmental concerns. The Newhall Land & Farming Company has been reshaping the Santa Clarita residential landscape since it broke ground on the SCV’s first master-planned community Newhall Land and Farming Companyknown as Valencia. They have continued throughout the years, adding several new housing developments on the west side of the valley. 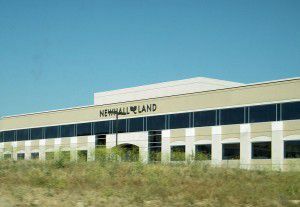 In 1994, plans were drawn up for the Newhall Ranch project, which would be a crowning achievement for Newhall Land. The plan includes over 20,000 homes on land west of Interstate 5 and south of Highway 126. It is estimated that the project will bring 60,000 permanent jobs to the area. With the announcement of this project came concerns from groups as to how this development will impact the local environment. The Newhall Ranch project was finally given the go-ahead by the Los Angeles County Planning Commission in 2012 after lawsuits by Friends of the Santa Clara River and Santa Clarita Organization for Planning and the Environment (SCOPE) failed to stop the project through the courts. The two environmental groups recently lost another legal round as the Los Angeles Superior Court ruled on environmental issues regarding Newhall Ranch’s first two slated projects, Landmark Village and Mission Village. A comprehensive environmental impact study had already been submitted by Newhall Land and given the green light. It was this study that the plaintiffs took issue with. Concerns over pollution, greenhouse gases, and the potential for future fracking were only some of the issues that SCOPE were still fighting. Another lawsuit by SCOPE and Friends of the Santa Clara River is still pending. This one questions the validity of permits issued by the Army Corps of Engineers and the U.S. Environmental Protection Agency. Despite ongoing battles in the courts, Newhall Land & Farming Company is hoping to break ground on the first phase of Mission Village in a few months. Upon completion, Mission Village will include 4,055 homes, an elementary school and almost 6,000 jobs. The development will sit on 1,262 acres just west of Magic Mountain and directly south of the State Route-126/I-5 interchange.